Crowne Plaza will mark its return back into the Sydney CBD after a five year absence with 160 room, 4 1/2 star hotel on the corner of Sussex and Bathurst Street. The mixed use development project, due for a 2019 completion, will comprise of 160 modern guest rooms and suites, four conference function rooms that can form a 300 square metre ballroom, meeting rooms, a mezzanine lounge bar, an 80 seat restaurant with street frontage and a lobby lounge, which is all split over two levels and includes dual street frontage access. A state of the art gymnasium and pool will be features on the podium level of the tower. Perched above the hotel podium will be 95 luxury residences which will feature sweeping views across Darling Harbour and the new Barangaroo precinct. The luxury residences will be a mix of one, two and three bedroom apartments that will feature Sydney urban contemporary design styles. Smart Design Studio have been selected as the winning architects for the development project. Ausbao, the Australian subsidiary of BCDH (Beijing Capital Development Holdings) heads up the Crowne Plaza development, following the completion of The Quay in Haymarket and their second Sydney CBD hotel, the Radisson Suites on Liverpool Street. Colliers International hotels team, led by Gus Moors and Raymond Tran, brokered the operator selection process on behalf of BCDH. "We are seeing an emergence of Asian developers addressing the undersupply of hotel rooms within the Sydney CBD. There is still a long way to go with Sydney's current supply of approximately 18,000 hotel rooms. Comparatively against other Asian international city counterparts, Hong Kong has 73,000 rooms and Singapore has 67,000 rooms. Sydney lags behind Melbourne in supply, which boasts 19,000 rooms with 6,000 more in the development pipeline. "Crowne Plaza Sydney Darling Harbour will be the flagship for the BCDH portfolio in Sydney and will be celebrated as one of their centrepieces when it opens," Mr Tran said. 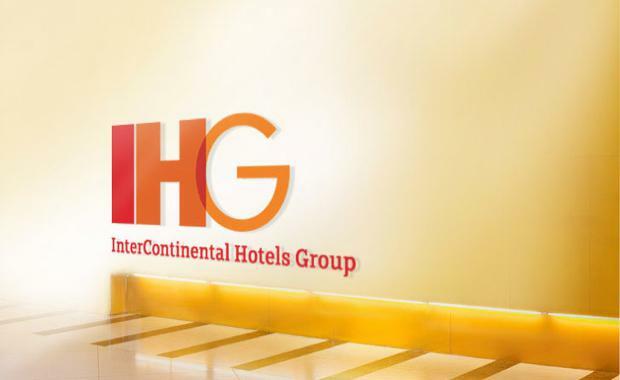 "IHG is extremely excited to be partnering with BCDH on this exciting hotel development," said Matthew Tripolone, Head of Development for IHG Australasia. "The Sydney market has been characterised for some time by undersupply and IHG has been focused on filling strategic gaps in our network with quality hotel developments. Crowne Plaza Sydney Darling Harbour is located in an ideal position to satisfy both CBD corporate demand and demand expected to be generated from the new International Convention Centre, and will provide a great option for the more than 90 million IHG Rewards members who see Sydney as a destination of choice."